What Bankruptcy can do for you!! Meeting With A Bankruptcy Attorney? What Questions Will My Bankruptcy Lawyer Ask? 1. Contact lender find out what options they are offering if unacceptable get 2. 5. Write QWR Qualified Written Request ask for accounting. Challenge everything — monthly statements, letters, delinquency notices, default notices, sale notices, eviction and unlawful detainer, and even go after the house you lost and vacated. Write letters and file pleadings. Letters should be certified return receipt requested. Make reference to THEIR sworn filings with the SEC (10k annual report etc.). GET A FORENSIC MORTGAGE AUDIT. In California and other states a sworn pleading must be answered by a sworn pleading from the other side. This could end the case quickly. Just because you get a sworn affidavit doesn’t mean the person who signed it knows anything or any part of the trail of loan origination and securitization of your loan. Ask questions. 1. Loan not in default but TILA claims can still be made. 6. Sale occurred to either third party or the lender. I have advised people to go to the sale and inform all potential bidders that the matter is in dispute which usually stops anyone from bidding. 1. REAL BANK THAT GIVES MORTGAGE AND HOLDS NOTE THEMSELVES. Direct relationship between the lender and borrower and it is not sold, migrated or otherwise transferred in any manner shape or form. Borrower gave honest information, tax returns etc. My guess is that the only claim here would be fraudulent appraisal but even that is weak because the bank is actually at risk. investment bank, and intermediate sellers of securities. Bank is NOT in any relationship with borrower but that is not disclosed. Bank has no risk or interest in whether borrower pays on loan or not. 3. MOST COMMON: A “bank” that is actually a front for one of the major players. In actuality the bank is a mortgage broker steering customers to worst loans for highest fees. 4. While the “lender” takes the position that they were defrauded by the borrower, the mortgage broker and the appraiser, the truth is that they intentionally defrauded themselves by setting up the structure and giving themselves the position of “plausible deniability.” Their intent was to create a plausible record for the mortgages and notes they were selling to mortgage aggregators and investment bankers. 1. Fixed rate 30 year mortgage fully amortized. paying less than the full payment and the balance owed on the note is going up. 4. Adjustable rate mortgage fully amortized. First adjustment after teaser rate in 1, 3, 6, 12 or more months. Borrower “qualiﬁes” for mortgage because income ﬁgures support paying the teaser rate. At the ﬁrst or second adjustment owever, they no longer qualifyand the lender knows it by deﬁnition. TILA violation, fraud, etc. 5. Adjustable rate interest only, negative amortization — OPTION ARMS, TEASER 2/28,3 /27 ETC. 6. Multiple mortgages and notes for multiple properties for speculators — usually involves falsifying information that buyer is going to use the house as primary residence, falsifying income and falsifying appraised values. TILA, fraud etc. 7. APPRAISAL FRAUD: Everyone at the closing and hidden behind curtains that you didn’t even know were there had a vested interest in you signing the papers — to justify their sale and collection of funds from investors. Because of the volume of money generated by sales to “qualified” (big) investors, and because of the need to keep appearances of an upward, active market, appraisals were vastly inflated beyond the real value of the property. As early as 2005 honest appraisers signed a petition to require that all appraisers follow industry standards because the honest appraisers weren’t getting any business. The difference between the inflated appraisal (made as instructed and paid for by the “lender” who really was standing in for the true source of funds) and the real market value was on average about 25% of the appraised value. Thus, a house appraised at $300,000 was really worth $225,000 at most. In many cases the figure was 40% and so our example would be a true fair market value of $180,000. This excess accounted for the entire down payment of most buyers and a substantial portion of the debt they acquired when they signed the loan papers. In our example, the borrower/buyer might have suffered a loss of $120,000. Adding this cost to the points, interest (APR) the violations of all federal and state laws multiply exponentially. Principally, it raises the specter of usury, which makes the loan voidable or void, and provides a basis for recovery of attorney fees, and might allow for treble or punitive damages. 1. Originating lender still servicing the loan, holds note and mortgage. No assignment, sale or other fancy ﬁnancial tricks. 2. Originating lender is actually mortgage broker, loan migrates to senior lending institution, to mortgage aggregator to investment banker to seller of securities to investor. 3. Trustee in non-judicial sale states posts notice of sale based upon information from a source that (a) does not service the loan and therefore does not know if the borrower is in default or not and/or (b) does not own the mortgage or cannot prove that it owns the mortgage and/or (c) does not own the note or cannot prove that it owns the note. IN most cases an investor owns the mortgage and note and the people involved in the foreclosure don’t have a clue as to which bundle of mortgages went into which bundle of securities and how many investors bought into that bundle of securities, and there areno proper assignment documents that were designed much less signed in anticipation of being able to establish legal standing in sale, foreclosure or eviction. 4.Originating lender ﬁles foreclosure or posts notice of sale and does not have servicing rights, ownership of mortgage or ownership of note. 1.Federal Claim for TILA, Respa, RICO, fraud, USURY etc. 2.QUIET TITLE AGAINST NOMINAL LENDER, ALL OTHER KNOWN PARTIES WHO MIGHT CLAIM INTEREST IN MORTGAGE OR NOTE AND ALL UNKNOWN (JOHN DOES 1-100) PARTIES WHO MIGHT CLAIM AN INTEREST IN MORTGAGE OR NOTE). 2. Memorandum of Law in support of complaint. 4. State court action for stay of sale, eviction etc. 5. Emergency Petition for temporary Injunctions- State and Federal Courts and memorandums in support thereof. 6. Motion to expedite discovery. 11. Adversary proceeding in Bankruptpcy Court – BE CAREFUL ABOUT WHAT YOU PUT ON SCHEDULES. 13. Demand letter to Originating lender — for documents tracing where the mortgage went and for refunds and damages, enclosing TILA audit. 4. Challenge validation of Debt 15 USC 1692(g) they do not posses the note. I am a Mortgage Auditing who works with the attorney for our mutual client. I have a client that I need to get with an attorney and would like to get with you today and discuss this along with the possibility of a retainer and contingency fee. My Number is 501-228-0877. My email is oliver@ipa.net. Let me know what is convenient for you, send me an email with you contact number and I will be happy to call you. Thank you for sharing the information regarding foreclosures. 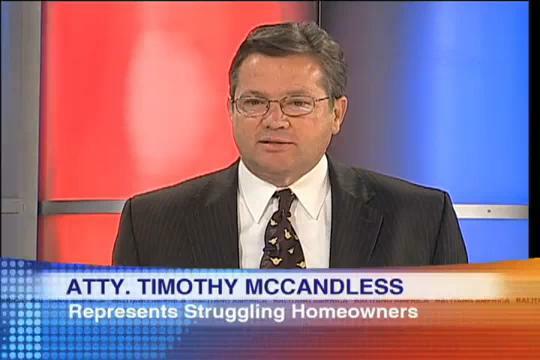 Not everyone can be helped in the way they want but the goal is to avoid foreclosure. Foreclosures solutions and short sales offer ways and help in order to keep your home. Thank you for another fantastic article. Where else may just anyone get that type of info in such a perfect manner of writing? I have a presentation subsequent week, and I’m on the look for such info. While I agree with the basics in The Stop Foreclosure Plan Timothymccandless's Weblog , I think the positive sentiment around today is a concequence of a false set of circumstances. The demand for consumer loans is still weak and there is no improvement in the housing sector. The developed countries are surviving on their governments ability to just borrow and spend into their economies which is difficult to maintain. Regards, Augusta Statzer. What about filing “Quiet Title” if the note/mortgage true owner is clouded? Can the home owner file quiet title to stake their ownership and vested interest? What about the Mortgage Cancellation I’ve been hearing about? Yeah..How do you proceed to Quiet Title once you have the foreclosure kicked out of the court? What about rescission and cancellation of mortgage post foreclosure fight? Any complaint template? What evidence documents do you need to support your claim in court? Assuming your lender doesn’t have the note and you have a MERS loan, basis under which the foreclosure brought up by the loan servicer BofA was dismissed. Pretty portion of content. I just stumbled upon your weblog and in accession capital to say that I get actually enjoyed account your weblog posts. Any way I?ll be subscribing for your augment and even I achievement you get right of entry to consistently rapidly. Wow! Don’t even know where to begin or what to say, but I get it and you just validated my suspicions with regards to there being someway to defend ourselves in a foreclosure action. I have held onto every piece of “evidence” I could gather and despite the loss of data on three occasions, I still have enough to aid a knowledgable lawyer in defending us. I will be in contact with you ASAP. May God bless you and your family for your efforts and for your generosity and kindness in sharing this invaluable information. I live in South Carolina and could not find an attorney to help me in my foreclosure action so fault threw it myself. This case has been going on for almost 2.5 years. Now I find myself in a bad situation because I had to learn everything as it went along. Like I filled 4 Motions for Summary Judgement and was not heard on any of them and because I was not heard. From what I have read now they cannot be raised in what I believe would be a valid appeal. I also have found other issues which I did not see at first but which are in my favor but I cannot present them. The Judgement has not been Ordered but the Judge says my time is up as far as filing anything else so I guess I am screwed….Advice if possible I need help! JPMorgan Chase does not own my note and therefore do not own my mortgage. Ripoff report and it didn’t just hapen to you! Trustee in foreclosure must be the right one no Substitution… no Foreclosure! Lender Has Plan To Curb Foreclosures just kidding its Countrywide! Stop Foreclosure California, Ugent news regarding Foreclosure! A new look at Munger and damages where there is no Equity;lenders could foreclose on underwater homes with impunity, even if the debtor was current on all debt obligations and there was no legal justification for the foreclosure whatsoever. So long as there was no equity, there would be no remedy for wrongful foreclosure. And since lenders can avoid the court system entirely through nonjudicial foreclosures, there would be no court oversight whatsoever. Punative damages and Wrongful Foreclosure and now Yvanova! The Supreme Court has just announced it will issue its opinion in Yvanova 10 a.m. tomorrow, Feb. 18. Thanks. Pacific Western Bank $227,000 in attorney fees for a 2 hour bench trial eviction wow !!!! When is the Consummation of a Loan Contract? How does a Lis Pendens affect California Real Property?